The world is chiral. Most of the molecules in it are chiral, and asymmetric synthesis is an important means by which enantiopure chiral molecules may be obtained for study and sale. Using examples from the literature of asymmetric synthesis, this book presents a detailed analysis of the factors that govern stereoselectivity in organic reactions. After an explanation of the basic physical-organic principles governing stereoselective reactions, the authors provide a detailed, annotated glossary of stereochemical terms. A chapter on "Practical Aspects of Asymmetric Synthesis" provides a critical overview of the most common methods for the preparation of enantiomerically pure compounds, techniques for analysis of stereoisomers using chromatographic, spectroscopic, and chiroptical methods. The authors then present an overview of the most important methods in contemporary asymmetric synthesis organized by reaction type. Thus, there are four chapters on carbon-carbon bond forming reactions, one chapter on reductions, and one on oxidations (carbon-oxygen and carbon-nitrogen bond forming reactions). This organization allows the reader to compare the leading methods for asymmetric synthesis in an appropriate context. A highlight of the book is the presentation and discussion of transition states at the current level of understanding, for important reaction types. In addition, extensive tables of examples are used to give the reader an appreciation for the scope of each reaction. Finally, leading references are provided to natural product synthesis that has been accomplished using a given reaction as a key step. 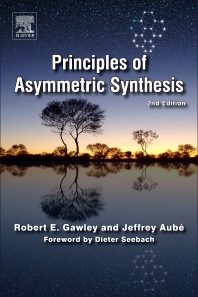 Advanced undergraduate or graduate students needing a guide to the principles of asymmetric synthesis and stereoselective reactions, and for practicing chemists seeking a similar level of understanding or who want leading references to the primary literature. The book could be used for a course in organic mechanisms, stereochemistry, reactions, or synthesis. It will also be a valuable reference source for the expert. 1.2 What is an Asymmetric Synthesis?